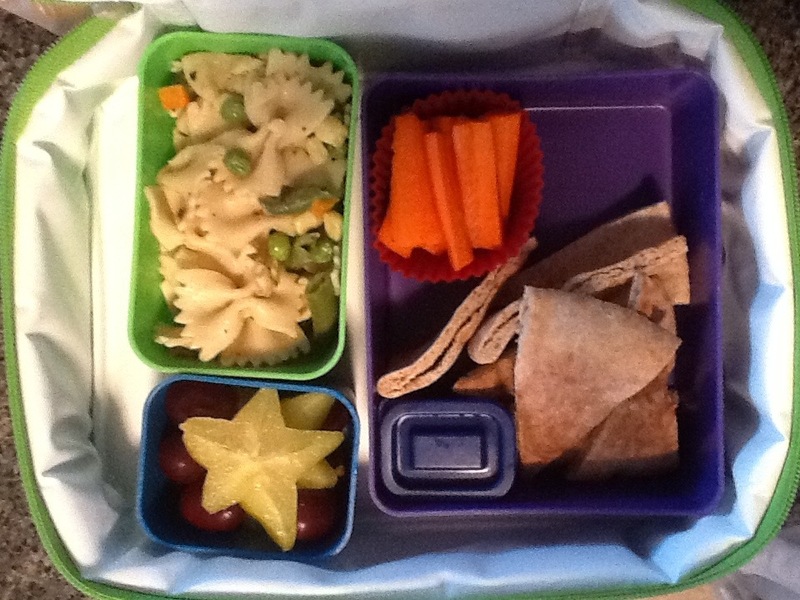 I am going to start sharing my kids lunch boxes in hopes that it may give parents other ideas about healthy lunches. 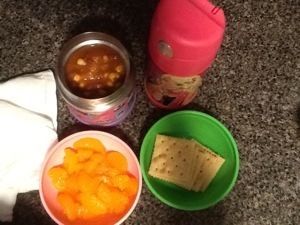 What got me going was a few weeks ago having lunch with my daughter and seeing some of the lunches other kids brought. My friend and I are health food eaters and feed our family this way. 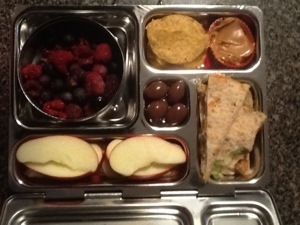 Our daughters both have the PlanetBox lunch system and we pack it full of lots of fruit, beans, proteins, and veggies. Everything is fresh, homemade, healthy and delicious! One mom who was having lunch with her son, made him hide his lunch after seeing my daughters and our other little friend’s lunches. 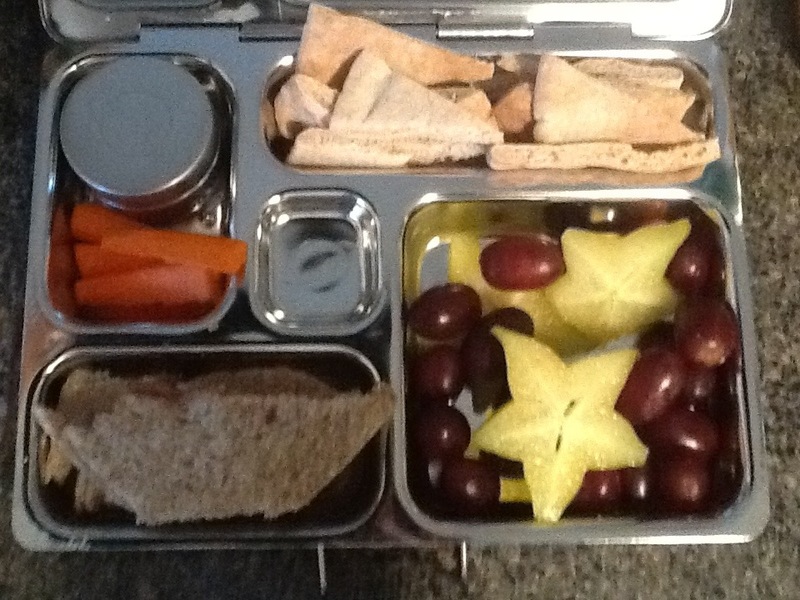 It was funny, but it occurred to us while she was asking all kinds of questions about the lunch box and food, that most parents don’t know how to pack a healthy lunch. Aim for color: fresh fruits and veggies, a protein, a grain. Actually, the PlanetBox has 4 compartments and each holds about the correct portion size as what the USDA recommends for these basic food groups. I hate to break it to you, but a healthy lunch does not include pre packaged food, white bread, Fritos, etc. So, that’s what’s getting my started on sharing my lunches. 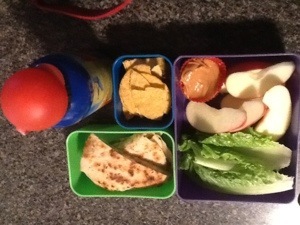 I hope it will inspire some healthier lunch box choices! 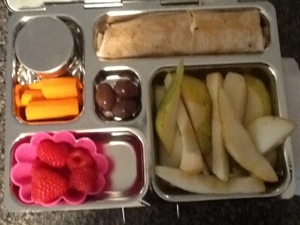 Today’s lunch was a egg sandwich on a whole wheat tortilla, pear slices, raspberries, sliced carrots with homemade ranch dip, and a few chocolate covered almonds for a treat. And as always, we had water in our stainless steel water bottle. She is thankfully not a big juice drinker and prefers water! Use whole wheat bread, tortillas, etc. They offer more nutrients and have more fiber than white bread and flour tortillas. Tortillas are also a great way to make sandwiches more interesting. I soaked the pear slices in a lemon juice and water mixture then rinsed well to keep them from browning. I made the ranch dip using this recipe from weelicious. 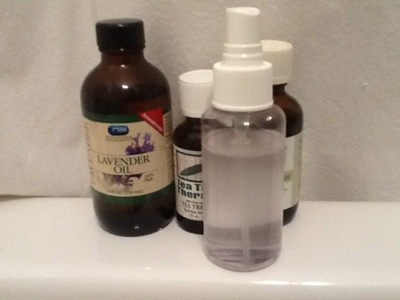 Its healthy and amazingly good!